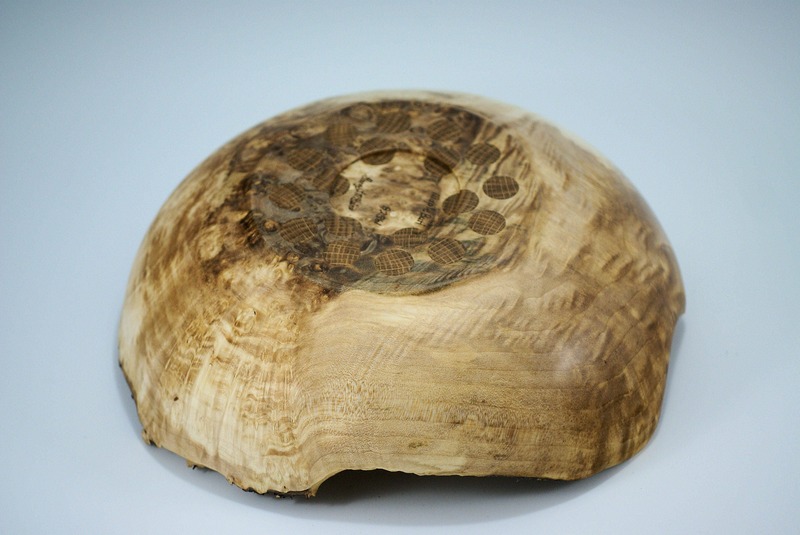 I made this wood bowl from a piece of Maple Burl. 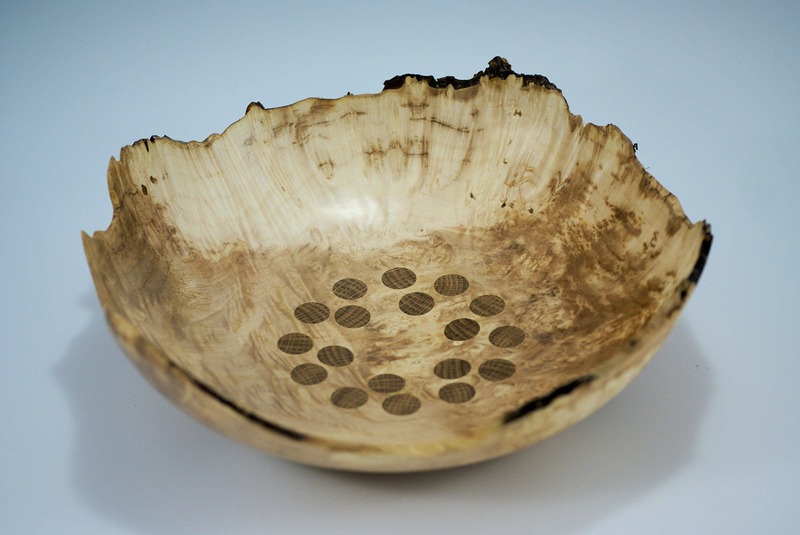 I intent was to create an organic piece with a natural edge and display all of the natural beauty found only in wooden bowls and wood products. 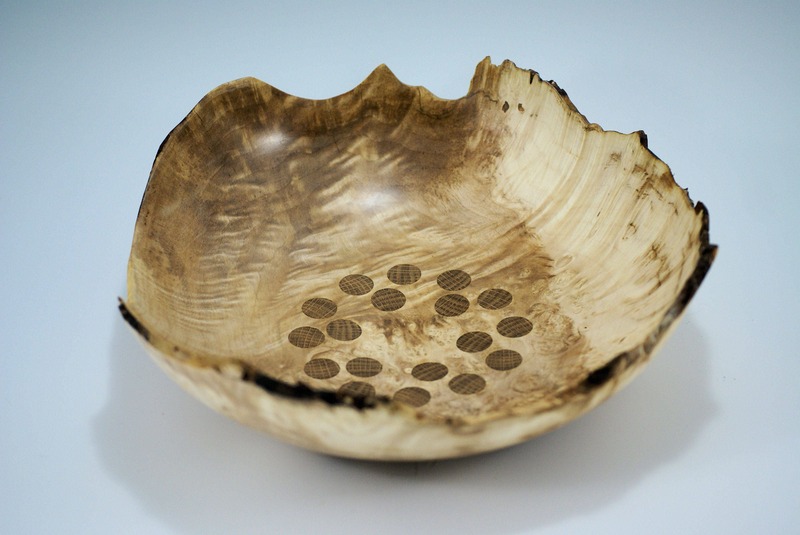 This bowl was turned in a way to preserve as much of the wood as possible. In doing this I was able to save two more beautiful bowls and not just make wood chips. Although I do recycle all of our woodchips as garden ground cover to keep weeds down. 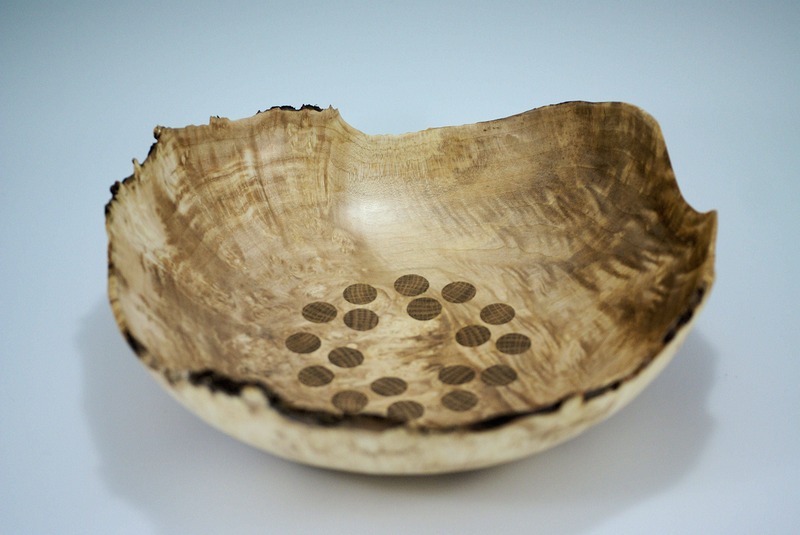 All of my bowls are sanded to 800 grit to achieve a soft feel to the wood. The finish is Walnut Oil with Carnuba Wax which gives it a soft glow. This bowl will stand out in any room you decide to use it for and you will find that it quickly becomes a favorite of the family and friends. 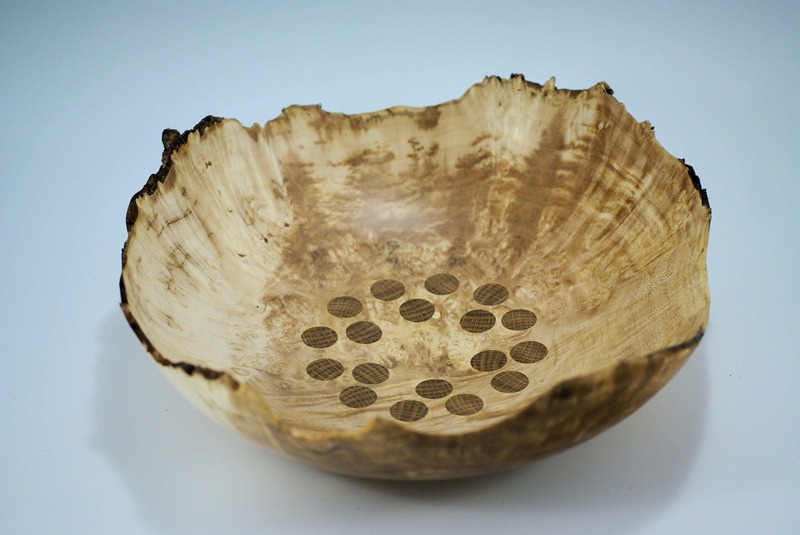 The bowl is 12 1/2" in diameter and 4" tall and weighs 1lb. 4.4 oz.